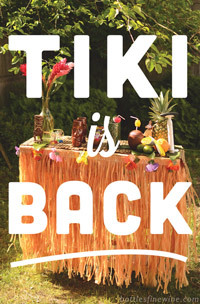 Join the revival of Tiki cocktails! 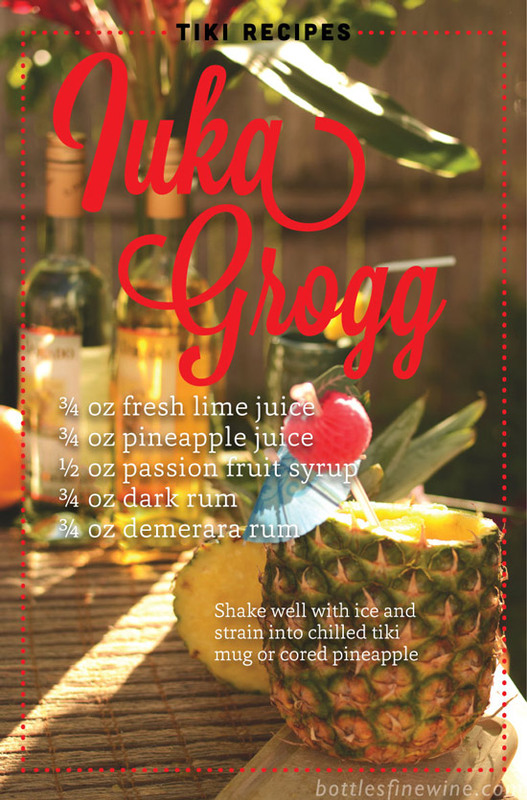 From Jeff “Beachbum” Berry’s book, Remixed: A Gallery of Tiki Drinks, we’re featuring a new recipe called an Iuka Grogg (spelled with an “I”). Enjoy this enticing combination of lime, pineapple, and passion fruit flavors, topped off by a rich, caramel, dark rum aroma. 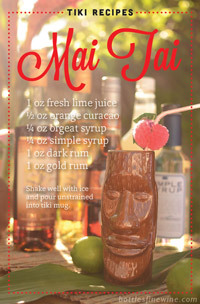 The quintessential tiki cocktail to have all summer long! 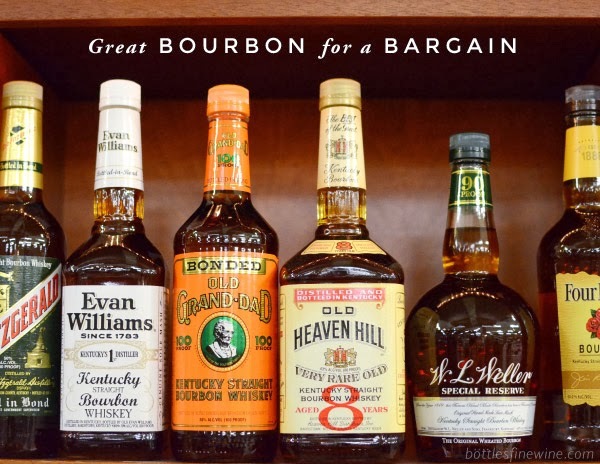 Pay us a visit in Providence, Rhode Island to browse our in-store display of Tiki drinks. Not in around RI? Learn more cocktail recipes on our YouTube channel to look like a pro at your next get-together. 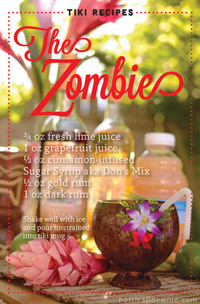 Joanna, our resident cocktail expert, will show you how to make a classic Trader Vic Mai Tai and a simplified “Beachbum” Berry Zombie drink. Shake well with ice cubes. 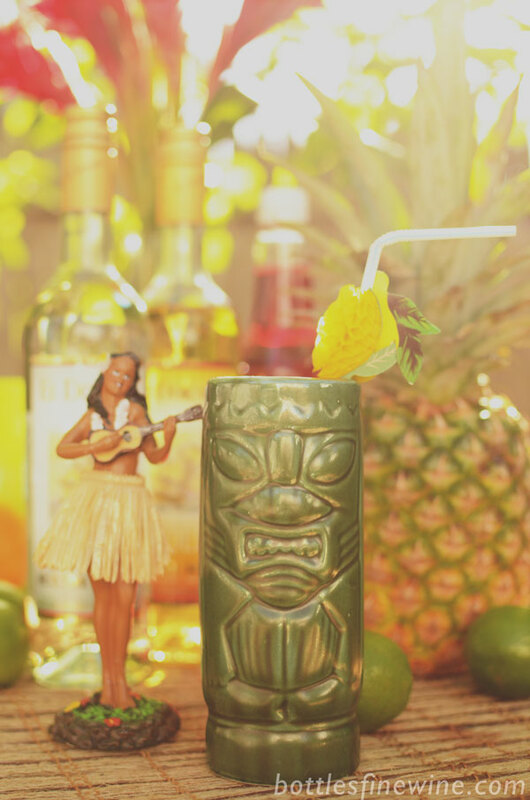 Strain into a chilled tiki mug, or serve in pineapple to make a splash at your party! Or to just to feel special. This entry was posted in Cocktails and tagged cocktail, drink, idea, ingredients, iuka grogg, recipe, tiki on June 19, 2013 by bottlesfinewine.